The Passion Bowl Stage in the North Shuswap region of British Columbia is located on the unceded territory of the Secwepemc People. 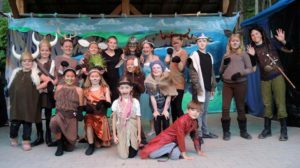 It is an outdoor stage, built and maintained by Jim and Kathi Cooperman, who envisioned their grandchildren enjoying summer theatre projects in this bucolic setting. For five years, Katie Welch has written or co-written an original play, directed a week-long Drama Camp, and invited the general public to performances of Passion Bowl Players productions. 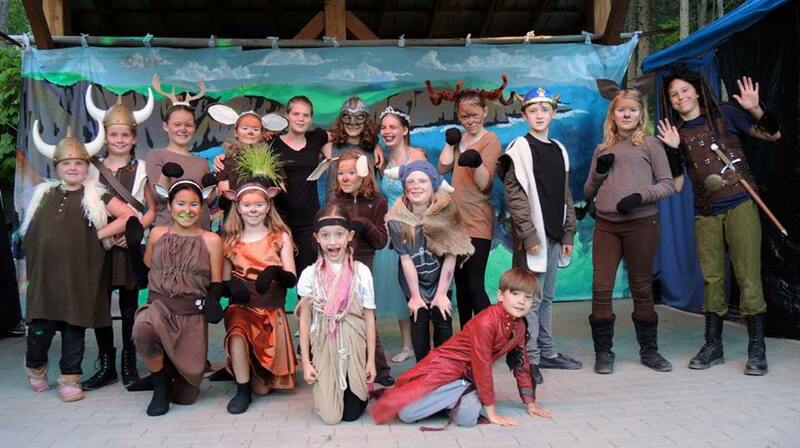 The 2018 production, “Deer vs. Vikings” by Katie Welch, was staged on Saturday, July 14th.